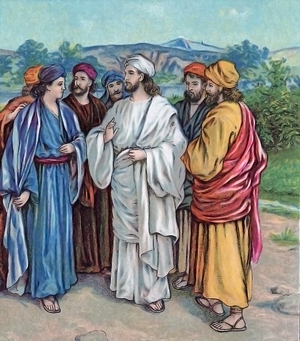 146:0.1 THE FIRST PUBLIC preaching tour of Galilee began on Sunday, January 18, A.D. 28, and continued for about two months, ending with the return to Capernaum on March 17. On this tour Jesus and the twelve apostles, assisted by the former apostles of John, preached the gospel and baptized believers in Rimmon, Jotapata, Ramah, Zebulun, Iron, Gischala, Chorazin, Madon, Cana Nain, and Endor, In these cities they tarried and taught, while in many other smaller towns they proclaimed the gospel of the kingdom as they passed through. 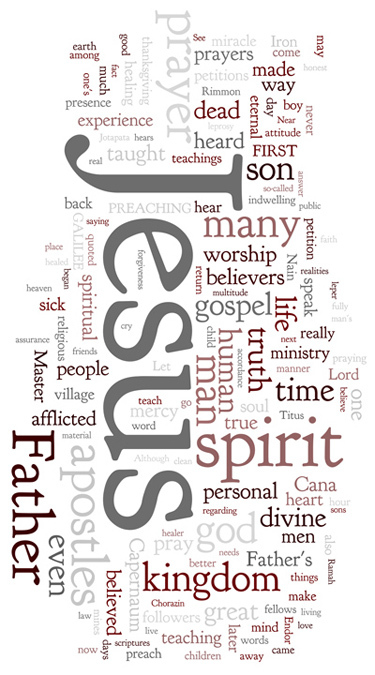 146:3.4 And Jesus said to Thomas: “Your assurance that you have entered into the kingdom family of the Father, and that you will eternally survive with the children of the kingdom, is wholly a matter of personal experience—faith in the word of truth. Spiritual assurance is the equivalent of your personal religious experience in the eternal realities of divine truth and is otherwise equal to your intelligent understanding of truth realities plus your spiritual faith and minus your honest doubts. 146:4.3 Late on the afternoon of the third day at Iron, as Jesus was returning from the mines, he chanced to pass through a narrow side street on his way to his lodging place. As he drew near the squalid hovel of a certain leprous man, the afflicted one, having heard of his fame as a healer, made bold to accost him as he passed his door, saying as he knelt before him: “Lord, if only you would, you could make me clean. 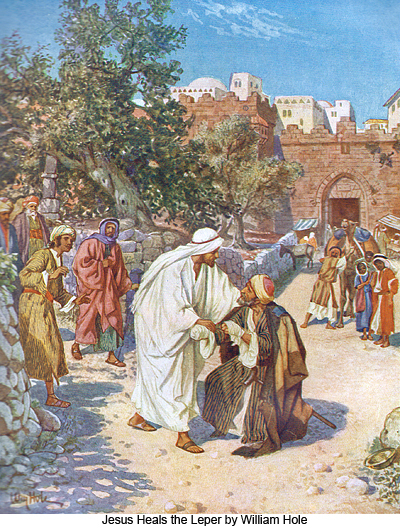 I have heard the message of your teachers, and I would enter the kingdom if I could be made clean.” And the leper spoke in this way because among the Jews lepers were forbidden even to attend the synagogue or otherwise engage in public worship. This man really believed that he could not be received into the coming kingdom unless he could find a cure for his leprosy. And when Jesus saw him in his affliction and heard his words of clinging faith, his human heart was touched, and the divine mind was moved with compassion. As Jesus looked upon him, the man fell upon his face and worshiped. Then the Master stretched forth his hand and, touching him, said: “I will—be clean.” And immediately he was healed; the leprosy no longer afflicted him. 146:5.1 The apostolic party was greatly cheered when Jesus announced, “Tomorrow we go to Cana.” They knew they would have a sympathetic hearing at Cana for Jesus was well known there. They were doing well with their work of bringing people into the kingdom when, on the third day, there arrived in Cana a certain prominent citizen of Capernaum, Titus, who was a partial believer, and whose son was critically ill. He heard that Jesus was at Cana; so he hastened over to see him. 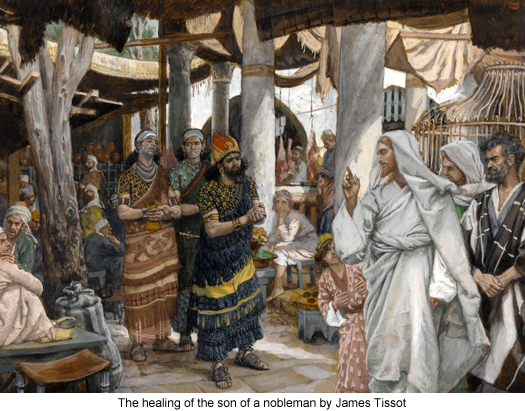 The believers at Capernaum thought Jesus could heal any sickness. 146:5.2 When this nobleman had located Jesus in Cana, he besought him to hurry over to Capernaum and heal his afflicted son. While the apostles stood by in breathless expectancy, Jesus, looking at the father of the sick boy, said: “How long shall I bear with you? 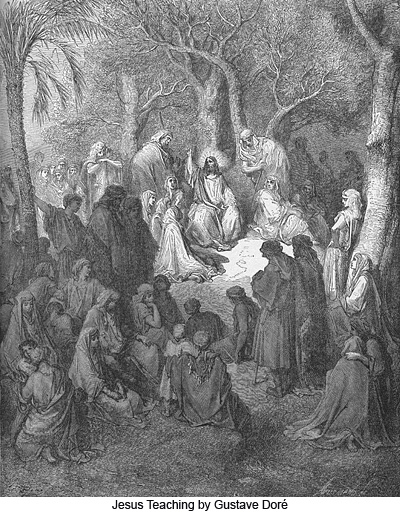 The power of God is in your midst, but except you see signs and behold wonders, you refuse to believe.” But the nobleman pleaded with Jesus, saying: “My Lord, I do believe, but come ere my child perishes, for when I left him he was even then at the point of death.” And when Jesus had bowed his head a moment in silent meditation, he suddenly spoke, “Return to your home; your son will live.” Titus believed the word of Jesus and hastened back to Capernaum. 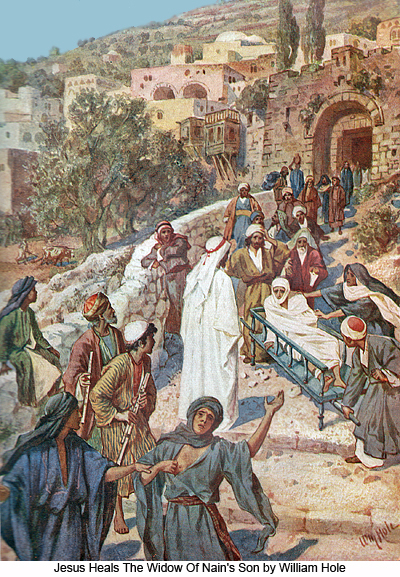 And as he was returning, his servants came out to meet him, saying, “Rejoice, for your son is improved—he lives.” Then Titus inquired of them at what hour the boy began to mend, and when the servants answered “yesterday about the seventh hour the fever left him,” the father recalled that it was about that hour when Jesus had said, “Your son will live.” And Titus henceforth believed with a whole heart, and all his family also believed. This son became a mighty minister of the kingdom and later yielded up his life with those who suffered in Rome. Though the entire household of Titus, their friends, and even the apostles regarded this episode as a miracle, it was not. At least this was not a miracle of curing physical disease. 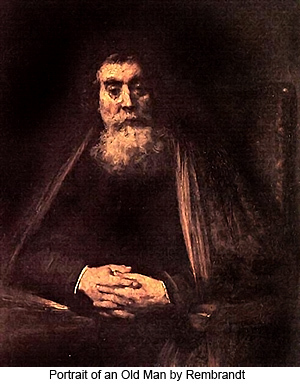 It was merely a case of preknowledge concerning the course of natural law, just such knowledge as Jesus frequently resorted to subsequent to his baptism.